Marías (Dark Back of Time, 2001, etc.) exhaustively analyzes a “reasonably famous” operatic tenor’s inchoate infatuation with a married woman he scarcely knows. This Spanish author’s previously untranslated early (1986) novel finds its unnamed narrator—essentially oblivious to ironic contrasts between the vibrant roles he sings and the passionate commitments he only considers—recounting in subdued tones his “friendship” with Natalia Manur, along with tense encounters with her proprietary husband: a Flemish banker whose own passions dangerously exceed those of his would-be rival. 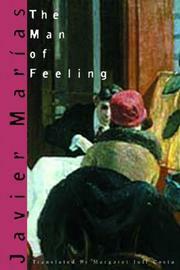 Is the “man of feeling” the putative lover who anticipates and recollects, without experiencing or the conventional man who accepts the risks and demands of his “feeling”? It’s a resonant enigma, deftly explored in an elusive text that’s a revealing introduction to and gloss on Marías’s richer, even more puzzling subsequent fiction.